After a long swim meet in competitions all day, waiting for the results of the meet, you don’t want to be in your bathing suit or uncomfortable clothes. Wearing team apparel is something the whole team usually does. There is a bunch of different kinds of swim team apparel that you can get, a tee shirt, or swimming flannel pants. If you don’t know where to get these made keep on reading to find out. AMBRO Manufacturing is a screen printing company that does a lot of work with printing on pants. 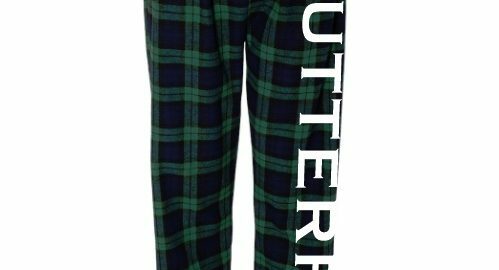 We can print on any type of pants whether they are solid of flannel. Most of our prints have logos on the hip or text going down the length of the leg. Typically we print in one or two colors for pants, especially leg prints. You can have your team name or a team motto printed on the leg. You can get any ink color you want, a nice bright white or something in the metallic ink spectrum. We have many ink colors to choose from to make your print stand out from the rest. 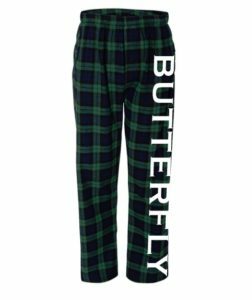 A leg print on flannel pants will stand out more than a small hip logo. We can make your team look great in any team apparel when you use us as your printers. We deal with a lot of sports teams, printing their apparel. Arrive in style at your next swim meet with swimming flannel pants. You can give us a call any time at (908) 806-8337 or you can email us any time and we will have one of our sales representatives get back to you with anything you need to know. We are located in Flemington, New Jersey and can ship out to anywhere in the country. 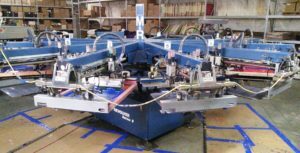 There are many screen printing companies that are around that will do your printing for you, however it may not be with the quality you hope to get. Or there are just too many places around that it is hard to make a decision as to which printer to go to. AMBRO Manufacturing is the best place that you can get screen printing with plastisol ink done. We have been in business for over 30 years and do a lot of jobs with plastisol ink. Screen printing with plastisol ink has a thicker feel to the print when it is done. The colors will come out bright and vibrant. We can mix any color of ink if you need something to match to, or you can choose from one of our custom ink colors that we have in house. Not only do we have the basic colors, but we also have specialty inks. These will include glitter and metallic inks. Screen printing with plastisol ink, it will last longer on the shirt after a lot of washes and still retain the bright color. 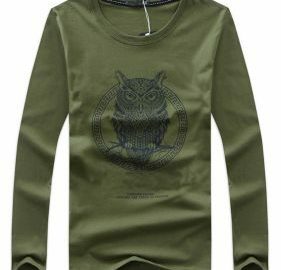 We can also get a pretty soft feel with plastisol ink when it is printed on a white shirt, it will almost feel like it is not there. Not many other places will have specialty inks for plastisol, but come to AMBRO Manufacturing and you will get more than what you hoped for. You can give us a call any time at (908) 806 8337 or you can email us and we will get back to you with anything you need to know about screen printing with plastisol ink. We are located in Flemington, New Jersey and can ship out to anywhere in the country. If you want to take a look around at the plastisol prints that we do, come to our show room. If you want to take a look around at the plastisol prints that we do, come to our show room. Do you ever lose your socks or cannot find its other pair? If you do you know how annoying that can be. Instead of always going through that hassle there is a fun way that you can make it easier to spot or to find. You can get name embroidered socks at your local screen printing or embroidery shop. Since there are so many places to go, picking just one is hard. AMBRO Manufacturing is the place that can do these simple jobs very easily. Name embroidered socks are also a fun thing to give at sleepovers or even as a gag gift to someone. You can pick any kind of socks that you want and we can embroider your name or the person you are giving them to. The name is typically placed on the top part of the socks. We have many thread colors that you can choose from to make it what you want. There are two styles of fonts that we have in stock, we have a script font or a block font; both work well with embroidery. If you don’t want your entire name on the socks, we can also embroider your initials on the sides of the sock. 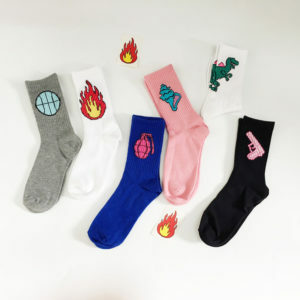 When you are tired of not finding your other sock, or you want to give them as gifts to someone, come to AMBRO Manufacturing and name embroidered socks. You can give us a call any time at (908) 806 8337 or you can email us and we will get back to you with anything you may need to know. We are located in Flemington, New Jersey and can ship the socks to anywhere in the country. If you would like to see some of our embroidery work, we have it on display in our show room. 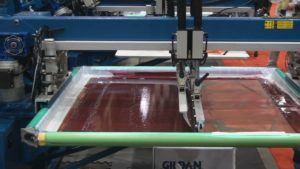 Screen printing has been around for quite some time. There are many different techniques used that will achieve different effects. To find a place that can use different techniques when making shirts can be hard. That is why you need to go to AMBRO Manufacturing. If you have a project that will need some extra thinking on how to print the design the way you want, that is where we can help you out. Distressed Screen Printing can offer a retro look to any project. One of the more popular effects to use in a design is distressed screen printing. 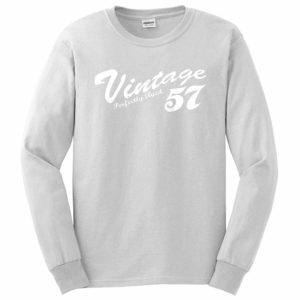 This type of printing will give your shirt a vintage look like it was made a long time ago. It will look like the ink has been cracked or worn out. There are two ways that this can be done. The first way it can be created is in the art itself. We can add a distressed texture to the design which when printed it will leave some areas where the shirt will show through. The other way to make distressed screen printing is in the printing. You can opt out of getting an under base which will make the color appear lighter on the shirt since there is only one layer of ink on it. Another way to achieve a distressed screen printing look is with discharge printing. This only works on black shirts. 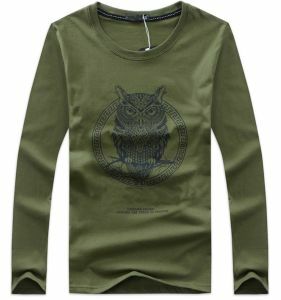 This technique uses a special ink that bleaches out the color of the shirt in the design that you want. AMBRO Manufacturing is the one place that you can get unique screen printing done on t shirts. You can give us a call any time at (908) 806 8337 or you can email us and we will get back to you with anything you may need to know about distressed screen printing. We are located in Flemington, New Jersey. Do you think your clothes are boring? 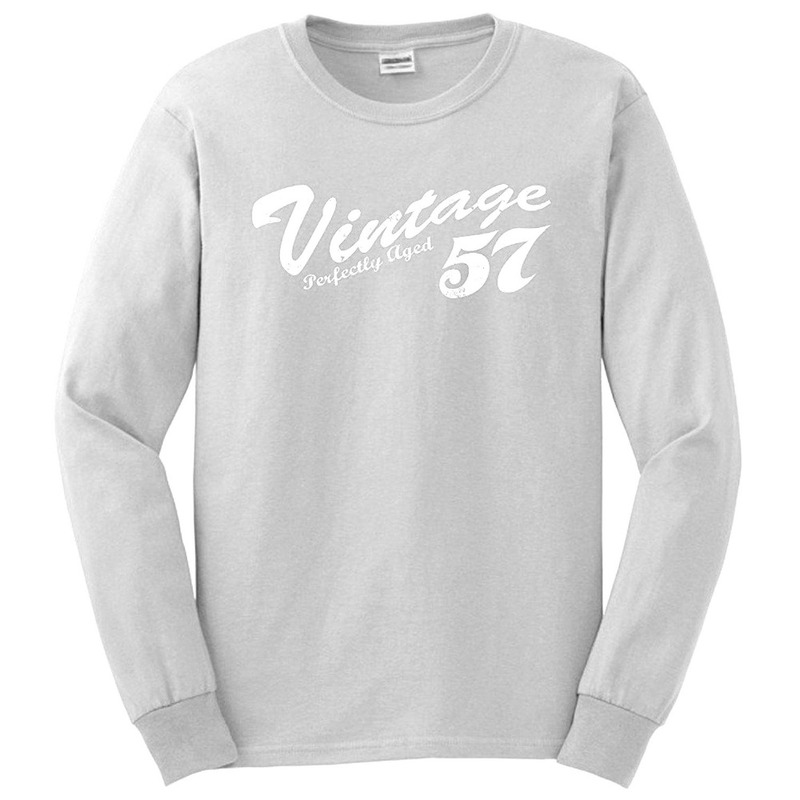 Or are you in dire need of an upgrade to your wardrobe? If you are thinking about these and are just staring at your closet then I can help you out. You can go through all your clothes or the ones you find in the stores, but sometimes you may just not be satisfied with them anymore. You may be looking for something that will make you light up and say that is the shirt I want. Gold Foil Screen Printing can really amp up your screen printing projects. 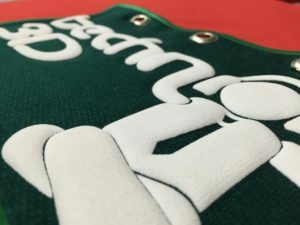 AMBRO Manufacturing is a screen printing company that can make you unique prints. We have been in business for over thirty years and keep refining our techniques. One of the more unique printing techniques we have done is gold foil screen printing. We have gold foil that is shiny and will catch the light at any angle. Your design can be printed with this and it will definitely stand out from everything else. Gold foil screen printing works best on large areas of shapes. The smaller the detail in the design the harder it will be for the foil to stick to the glue that is on the shirt. We have a variety of gold foils as well. We have the standard solid gold foil, and we also have ones that have little designs in it, and ones that look almost three-dimensional. You can also get normal screen printing and have areas of foil accents in the design. We can print ink and foil right next to each other and not have anything overlap. You can give us a call any time at (908) 806 8337 or you can email us and we will get back to you with anything you may need to know about gold foil screen printing. We are located in Flemington, New Jersey and can ship out to anywhere in the country. Are you an artistic person or know someone who has a creative bone in their body? If your answer is yes to these questions, there is a fun way to get your art promoted in a different way then what you might first think of. There are many ways that you can get art printed; on postcards, posters, or other small paper materials. 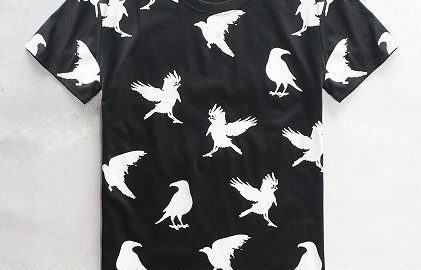 Instead of doing what every other artist is doing, you can get t shirt designs printed. To get t shirt designs printed is a very easy thing to do. All you would need to do is to create the design and have it sent to a printer. But what printer should you choose? Since there are so many out there, that decision can be a hard one to master. I can make all of the very simple for you. Come to AMBRO Manufacturing to get t shirt designs printed. We can offer you a lot of different services under one roof, which you may find rare with other printing companies. 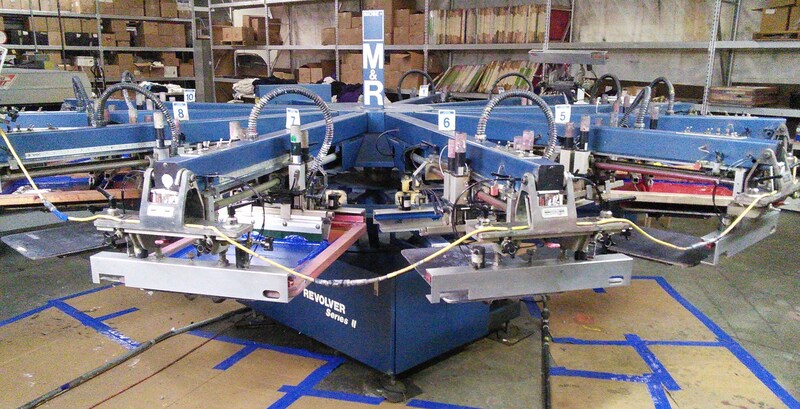 We offer screen printing, vinyl pressing, embroidery and sublimation printing. 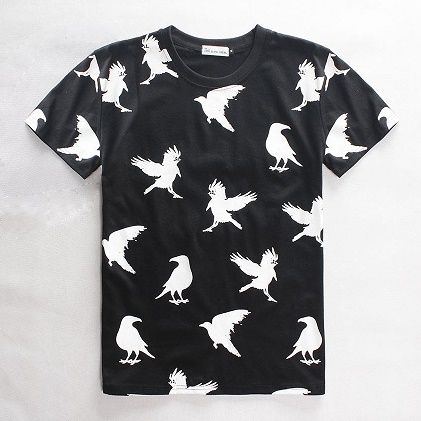 Any of these are great ways to get t shirt designs printed with your own art on them. We have many ink colors that you can choose from as well as specialty inks if you would like to use screen printing as your method to make a t shirt. The other methods like sublimation, allows you to use a full color range in your design. The catch is that the shirt must be white and 100% polyester. This will act as a primer for the color that will get dyed into the fabric. Vinyl designs are best with one or two colors. The more you do the harder it will be to make the colors line up perfectly with each other. You can give us a call any time at (908) 806 8337 or you can email us. We are located in Flemington, New Jersey. Do you like the night life? Go to parties or out with friends a lot? If you do, then you have to have a cool looking outfit that will get noticed from one look. Sometimes it is hard to find that in stores where you would normally buy your clothes. No need to worry, I have the perfect solution that will get you want you are looking for and more. 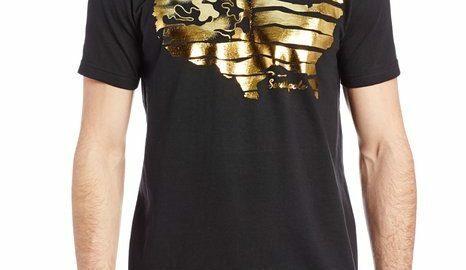 Gold Foil T Shirt printing can help make your next project sparkle. There are many screen printing places around that you could go to that will make you t shirts or other apparel. However, there may not be a lot of places that will do specialty printing for you. What I mean by specialty printing is getting a gold foil t shirt made. 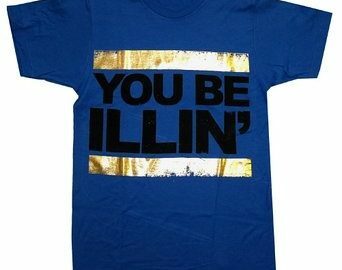 Foil is the perfect thing to get on a shirt if you love going to parties or like going out on the town at night. It will shine and catch the light in a dramatic way. 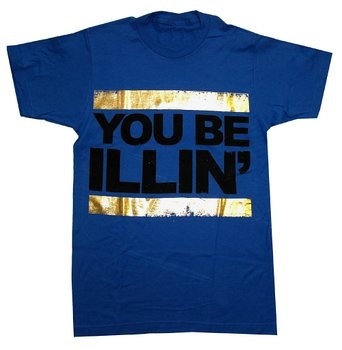 You could get your own design in gold foil, which will definitely be a one of a kind shirt. 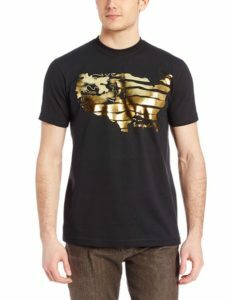 The best designs to use on a gold foil t shirt are large areas where the shapes are filled in with foil. This will give you the maximum amount of foil that you can get with your design. Spice up your clothing with a gold foil t shirt from AMBRO Manufacturing. You can give us a call any time at (908) 806 8337 or you can email us and we will have one of our sales representatives get back to you with anything you may need to know. We are located in Flemington, New Jersey and can ship out to anywhere in the country. To see some of our specialty prints, you can take a look in our show room.